Professor Hudgins is a native of West Texas. He attended Texas Tech University, in Lubbock, Texas, where he received a Ph.D. degree in electrical engineering in 1985. Dr. Hudgins served as Associate and Interim Department Chair of Electrical and Computer Engineering at the University of South Carolina prior to joining the University of Nebraska-Lincoln as Chair of the Electrical & Computer Engineering Department. Currently, he is Director of the Nebraska Wind Applications Center and Interim Director of the Nebraska Center for Energy Sciences Research. Dr. Hudgins' research involves power electronic device characterization and modeling, power electronics design, and renewable energy systems. Dr. Hudgins served as the President of the IEEE Power Electronics Society (PELS) for the years of 1997 and 1998 and as President of the IEEE Industry Applications Society (IAS) in 2003. He has also served in many international technical conference committee roles through the IAS and PELS, including General Conference Chair of the 1999 IEEE Power Electronics Specialists Conference, the 2002 IEEE Industry Applications Society Annual Meeting, and the 2009 IEEE Power Electronics and Machines in Wind Applications Symposium. Dr. Hudgins was on the IEEE Board of Directors as Division II Director in 2013-2014. He currently serves on the Board of Directors as Treasurer of the IEEE. 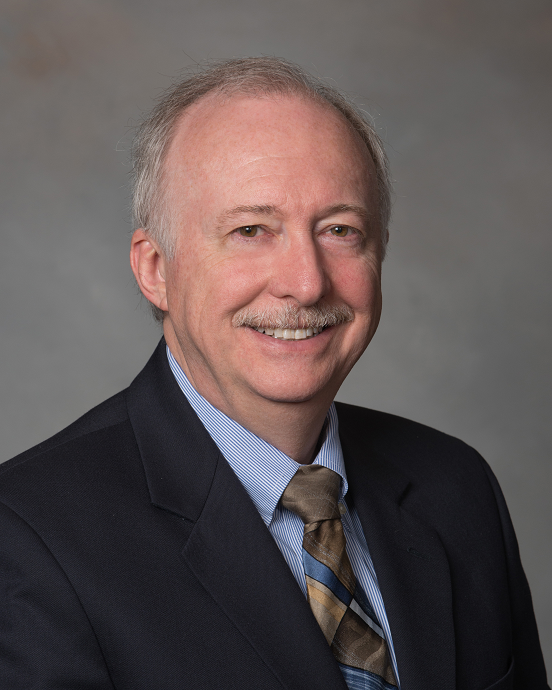 Dr. Hudgins has published over 150 technical papers and book chapters concerning power semiconductors, power electronics, renewable energy systems, and engineering education. He has worked with numerous industries including Ford Motor Co., Northrup-Grumman, International Rectifier, Powerex, Cree, and Harris Electronics. Dr. Hudgins is a Fellow of the IEEE and a member of Eta Kappa Nu and Tau Beta Pi. In 2011, he was elected to the Board of Directors of IEEE; he served as Division II Director in 2013-2014. He currently remianes on the IEEE Board of Directors as Treasurer of the IEEE. Locally, Dr. Hudgins serves as Chair of the Lincoln Electric System Administrative Board. He co-authored several award winning papers published by the IEEE IAS and received the 1997 Best Transactions Paper Award published in the IEEE Transactions on Power Electronics. In 1991, he received one of the IEEE Outstanding Student Branch Counselor awards given to the top ten counselors world-wide; and in 2000, was named as an IEEE Third Millenium Medal recipient for "Outstanding Contributions in the area of Power Electronics." Dr. Hudgins was also named as an Outstanding Alum of Texas Tech University and inducted into the Texas Tech Electrical Engineering Academy in 2002. “Comparison of the forward voltage drop of Si and SiC high voltage diodes,” T.K. Gachovska and J.L. Hudgins, Electro-Chemical Society and Sociedad Mexicana de Electroquímica (SMEQ) Joint International Meeting Proceedings, Oct. 5-9, 2014, Cancun, Mexico. Re-published in Electrochemical Society Transactions, vol. 6, no. 7, pp. 223-236, Oct. 2014. “Characterization of GaN switches for solar inverters,” T.K. Gachovska, C. Cojocaru, N. Radimo, A. Mukherjee, and J.L. Hudgins, Electro-Chemical Society and Sociedad Mexicana de Electroquímica (SMEQ) Joint International Meeting Proceedings, Oct. 5-9, 2014, Cancun, Mexico. Re-published in Electrochemical Society Transactions, vol. 6, no. 7, pp. 273-279, Oct. 2014. “Design Optimization of Single-sided Axial Flux Permanent Magnet Machines by Differential Evolution,” X. Yang, D.J. Patterson, and J.L. Hudgins, IEEE International Conference on Electric Machierns (ICEM) Proc., Sept. 2-5, 2014, Berlin, Germany. “Testing of diode-clamping in an inductive pulsed plasma thruster circuit,” A. Toftul, K.A. Polzin, A.K. Martin, and J.L. Hudgins, AIAA/ASME/SAE/ASEE Joint Propulsion Conference Record, July 28-30, 2014, Cleveland, OH. “Monitoring IGBT’s health condition via junction temperature variations,” B. Tian, W. Qiao, Z. Wang, T. Gachovska, and J.L. Hudgins, in Proc. 29th Annual IEEE Applied Power Electronics Conference and Exposition (APEC 2014), Fort Worth, TX, USA, Mar. 16-20, 2014. Transient Electro-Thermal Modeling of Bipolar Power Semiconductor Devices, Tanya K. Gachovska, Bin Du, Jerry L. Hudgins, Enrico Santi, 1st ed., Morgan & Claypool Publishers, 85 pages, ISBN-paperback: 9781627051897, ISBN-ebook: 9781627051903, December 2013. (book published in Synthesis Lectures on Power Electronics).